We need to be shaken out of our “center of the universe” perspective. We need to be unsettled and have our perceptions challenged. We need to realize that we are not the beholders—we are the beheld. God is not made visible by our light; we are made visible by his. What we so naturally consider the right and only perspective may, in fact, be the opposite of God’s perspective. John Calvin asserted that we can only see God in the world as we wear the spectacles of Scripture, but if we’re the ones wearing the glasses, then it’s still all about our point of view. Perhaps we need reverse our perspective and see the Bible and creation as windows through which God looks at us. So what would it mean to look at your life, your job, in reverse perspective? The question is already problematic because we can’t do it. In fact, we need to move out of the center. We need to become infinitely smaller, like a vanishing point. God is the one who sees, who is at the center of everything, whose perception and viewpoint define reality. 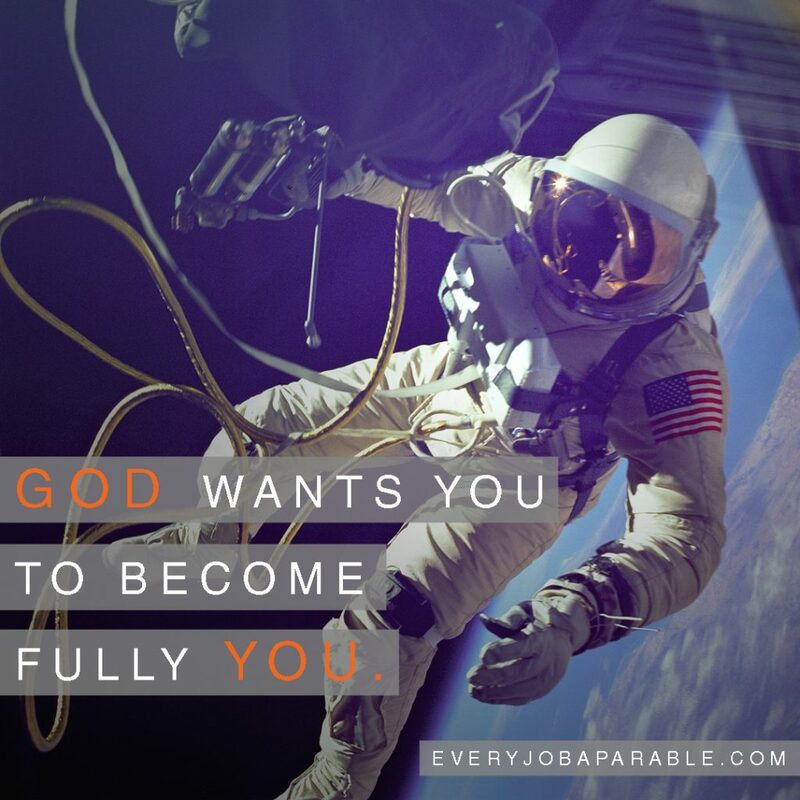 God doesn’t fit into your life; you fit into his. You are part of his story. This way of engaging reality is very much the opposite of all that comes naturally to us and all that society teaches. We live in a world where we are the authors of our destinies. Everything is as we perceive it and make it to be. In order to be freed from this very limiting perspective, we need to let go of our need for control. There is much more going on than meets our eye, than what our mere rational minds and mortal senses can perceive. Up may be down, and what appears small may loom large from God’s perspective. Perhaps this is why Jesus taught that we need to be like a child. Only a child is naive enough to imagine and make room for something this new. 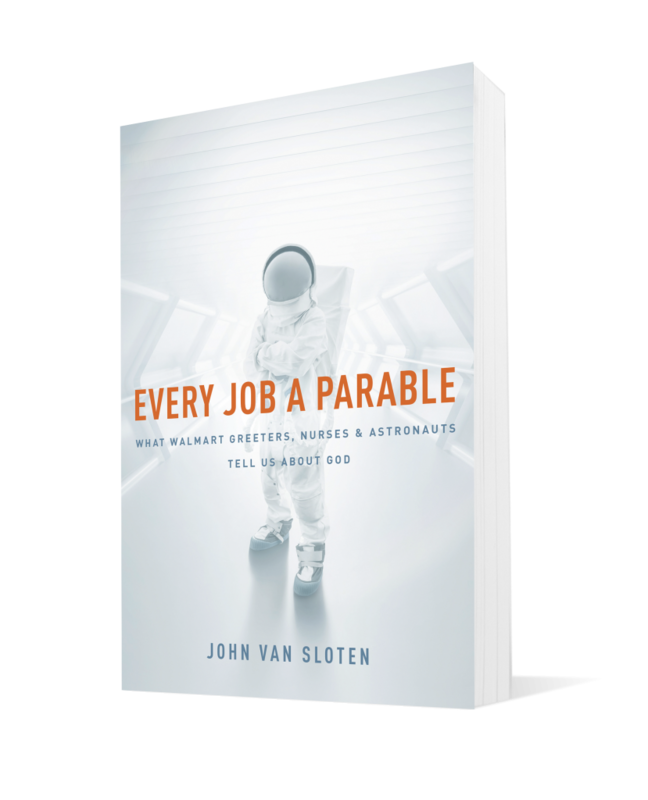 Can you imagine doing your job as though it all depends on you, while at the same time being part of this amazing, eternal, Kingdom of Heaven story that God is narrating? Imagine how new it would feel to jump between reality-as-you-see-it, into reality-as-God sees-it, and then back. Through reverse perspective you are able to see reality from God’s point of view. When you give up your perspective, you get perspective. When you lay it down you find it. When you start to see yourself as the one being seen, God is closer and larger, more present and real. When God is that close, everything changes. Even our perspective on the nature of revelation changes. This is kind of unsettling. For most of my life I’ve thought that God reveals so that I (and others) can hear. But even that seems a little self-centered, doesn’t it? 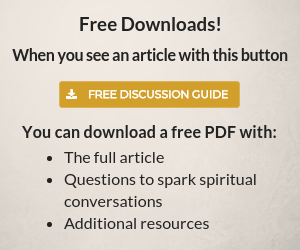 What if revelation has an even higher purpose? What if what we think we’re hearing, we’re really just overhearing? There exists within the Godhead a self-giving, ever-flowing, other-centric love. The Father loves the Son, the Son humbly defers to the Father, the Spirit serves Father and Son and is loved by both with an everlasting love. The triune God is the embodiment of communal fullness—peace, delight, and relational joy. God as Father, Son, and Holy Spirit is a community of eternal mutual adoration and selfless service—a community that communicates. Jesus didn’t do a thing apart from the will of his Father in heaven. The Spirit works in accordance with the will of Jesus and the Father. Each part of the Trinity listens. And we are invited to be a part of that community. This is the God who is moving in the world and at your work. 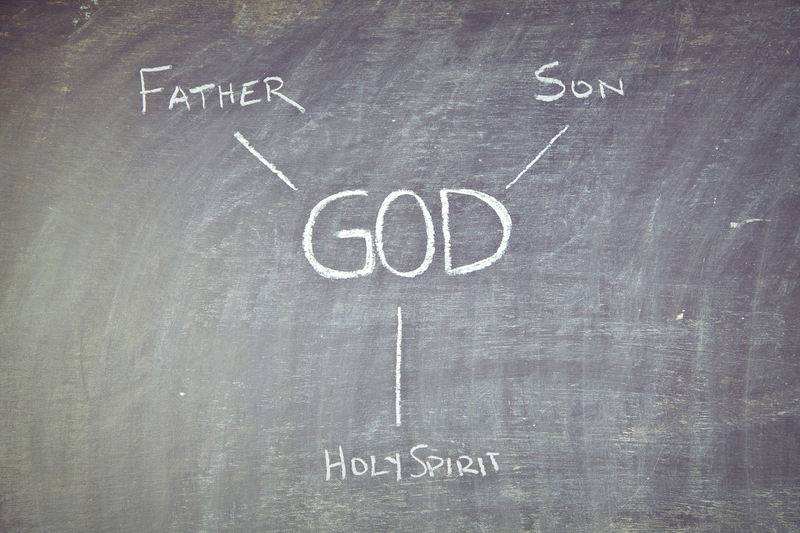 When we talk about knowing God at work, it is this triune, ever communing and communicating, ever serving and loving God whom we are talking about. What implications does this have for engaging your job iconically? One implication is that much of what we will know and experience of God may not be directly aimed toward us. Perhaps knowing and experiencing God at work is more about getting caught up in the love that is being extended from Father to Son, overhearing words of wisdom being whispered by Jesus to the Spirit, or catching a glimpse of the eternal joy expressed by Father and Son as the Spirit mysteriously brings more and more of heaven to earth. This way of seeing reality takes us out of the center of the universe. The act of compassionately listening to a fellow worker may be the Holy Spirit’s way of bringing glory to Jesus—the one through whom that fellow worker was made. Your God-imaging ability to read a person like a book—so that you can make a good judgment—may actually be Jesus’ built-in way to glorify the Father, who left it to Jesus to shape and make you the way he did. Could it be that every good relational act that you undertake is actually a manifestation of the triune communal love of God? 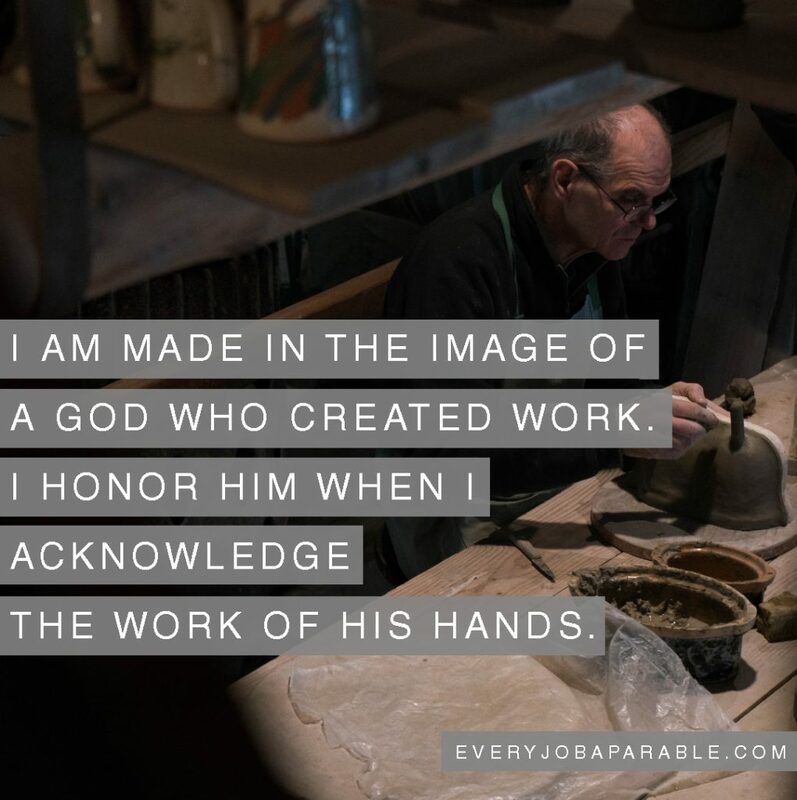 If the nature of Father, Son, and Holy Spirit is always about the other, then it seems that who we are in our jobs should ultimately reflect this nature. Everything we do at work should be for the person next to us: our coworker, customer, or competitor. As we image God in this selfless way, we will become more like him and discover that the more we give to that other person, the more we receive. We will image the God who is fully himself as he gives more and more of himself away. And we will be drawn into ever-deeper communion with God. This is a very important truth to consider. You are not primarily what you accomplish at work, nor is your value based on the sum of your aptitudes and skills. Who you are is defined by how you selflessly and humbly relate—how you give and how you receive, how you image the giving and receiving God. Talk about a reversal of perspective! Read chapter one for free now! This is the kind of God who is looking at you and writing the story of your life. He doesn’t want you to see and experience him from afar. He invites you right into the highly relational center of who he is—his eternal triune love. And the truth is, God doesn’t want his communal love reflected just in you. He wants entire companies, cities, countries, and all that fills this cosmos to be likewise transformed. It is to this end that God is moving. This is the story he is writing. This truth is power4ly transformative!! !